Roses are red, violet are blue, sugar is sweet and … all of these things are edible! There are really two reasons why I am excited about roses, actually three. Of course they are beautiful; they are also used for aromatherapy and skin care; and, can even be used to cook with! 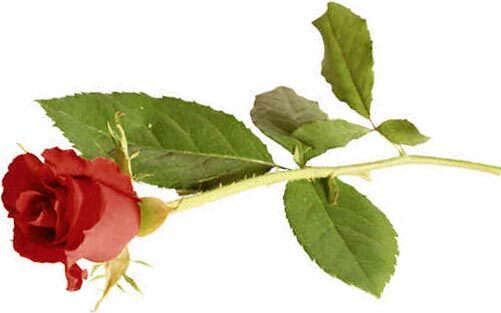 You may gain a whole new appreciation for the ever romantic, fragrant rose. A few years ago, I worked in a health food store and I could buy rose water. I haven’t seen it since, but I am sure it’s around. It was actually used as an astringent for your complexion, but boy did it smell good. Many people can’t handle the smell of store-bought perfumes. Strong perfumes make many people sneeze and wheeze. Rose water is so mild and smells so fresh and clean that I have given it to my little granddaughters to use. Rose water is easy to make and can even be used in cooking. It is often used in Middle Eastern or Asian dishes. Some recipes either infuse rose water in the meat or use it as a sauce. Storing rosewater in the refrigerator can keep it fresh longer. Dark bottles are another good idea for preserving freshness. On a hot summer day, a splash of rosewater straight from the refrigerator onto your face makes you feel like the Queen of Sheba. There are only a couple of things to watch for – bugs and dirt being the primary items! This is easily remedied by washing the petals in cool water before making your spray. There are two recipes I would like to share with you when using roses for a spray and one for a recipe to eat. Heat the water and rose petals just until the water starts to boil. Put a lid on the pot and let it sit for 5-8 minutes. Strain petals out with a strainer and let cool; add witch hazel and put in jars. I prefer a small dark, spray bottle that you can find at most health food stores. 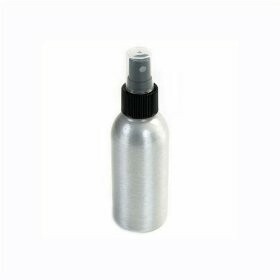 If you don’t want to spray, use a bottle that you splash with. Witch hazel is also an astringent, found at any health food store. This is so great on a hot day! Heat the water and rose petals until the water starts to boil. Take off heat and let pot sit with a lid on for 5-8 minutes. Cool and place in sterile bottles. In many Middle Eastern and Asian countries, roses are used in cooking. Here is a recipe I found. I must admit I have not yet tried this recipe but it did get 4½ stars from Allrecipes.com and was submitted by Carol. Preheat oven to 350 degrees. Grease one 9 inch tube pan. Cream the butter well. In a separate bowl beat sugar and eggs together until doubled in volume. Add sifted flour and salt gradually. Fold in creamed butter thoroughly. Divide batter into two equal parts. Into one part add the almond extract and the ground almonds. To the second part add the rose water and the red food coloring. Spoon the batters alternately into prepared pan. Bake at 350 degrees for 50 – 60 minutes. Let the cake cool, then remove from pan and dust with powdered sugar. This recipe sounds like a good one to start with for using roses in food preparation. You will be amazed at the recipes you can find.